Silver Christmas coins and bars are a great gift to teach youngsters the value of money. Every year Christmas silver is one of our biggest sellers. Not only do the rounds and bars contain 1 troy ounce of .999 fine silver but they also have beautiful designs on them. They both can be used as tree ornaments as well with the purchase of a plastic tree ornament capsule. This year is no different. These rounds and bars from Silvertowne have all new designs for 2015. From the popular Santa Claus designs, snowmen, Christmas bears, angels, wreaths and bells, you’ll be sure to find a wonderful silver round or coin that suits your fancy. Why Are Christmas Silver Rounds and Bars So Popular? Every year we sell thousands of these rounds and bars. But why are they so popular? From our experience, around 50% of our buyers are adults or grandparents buying these for their children or grandchildren. And if you think about it, it makes perfect sense. You can out and easily spend $50 dollars on a plastic toy that’s made in China and we’re sure your child will love it. But sure enough, like every toy it will get tossed aside and lose its luster after a couple weeks – sometimes days! Not only that, but it will most likely end up in a garage sale or the trash can because its value will go to zero. By purchasing a Christmas Silver Round or Bar you can spend your money on a gift that will always have value. 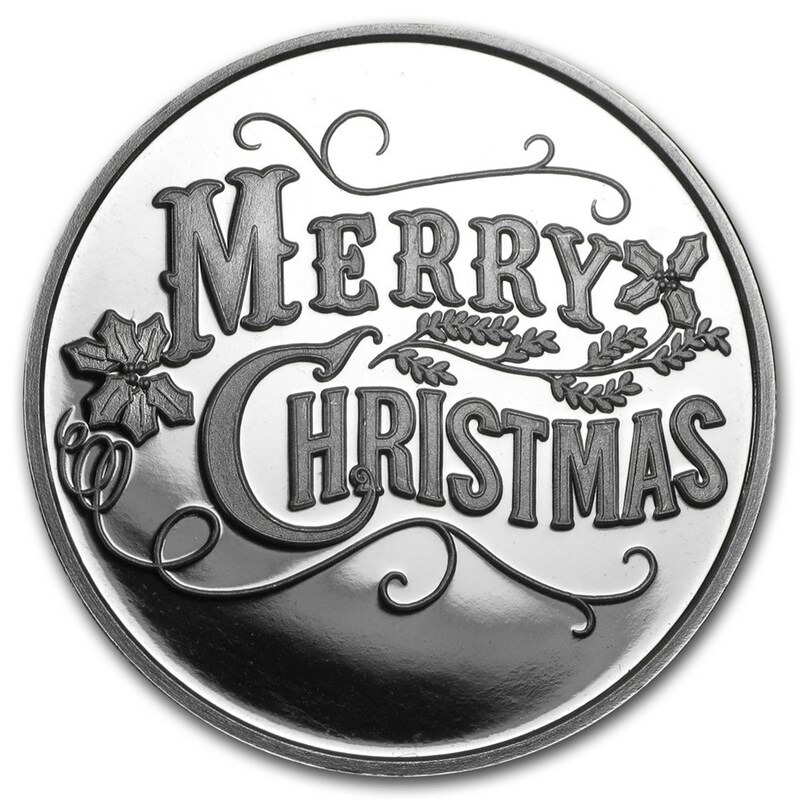 As stated above, each Silvertowne Christmas Silver Round or Bar contains 1 troy ounce of pure .999 fine silver. 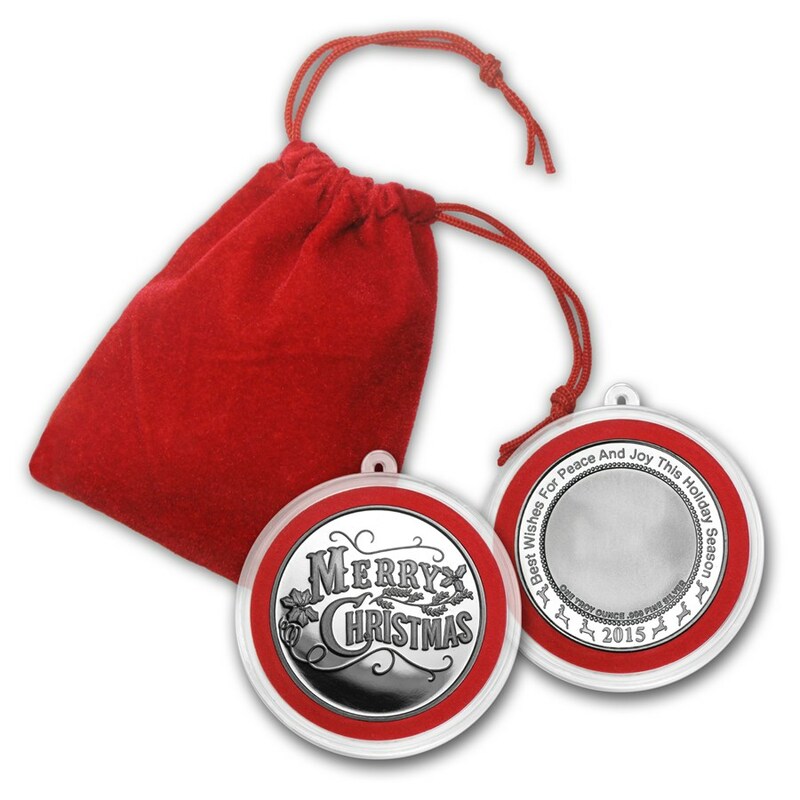 Not only can you give your child or grandchild a beautiful round, or ornament (if you purchase the ornament holder), but you can teach them a lifelong lesson about money, savings and the intrinsic value of silver. It literally is the gift that keeps on giving! Get your 2015 Silvertowne Christmas Silver Rounds and Bars today!